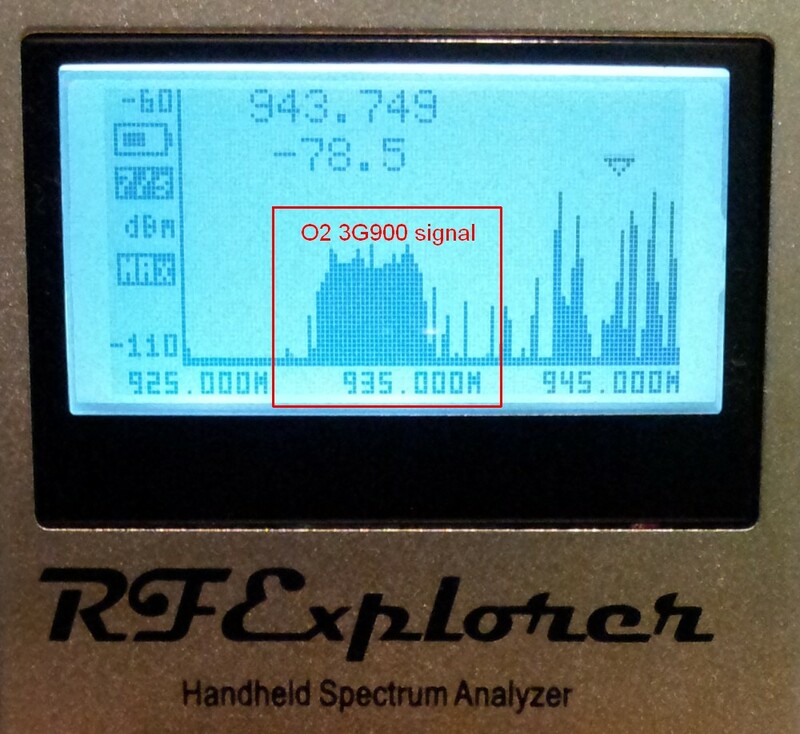 This looks like a 3G900 signal in the 930-935 MHz band, used by O2. As received in Barrow-In-Furness. Using Netmonitor on my phone I've found 3 different O2 cells in Barrow which I think have 3G on both 900 and 2100 MHz bands. The sites seem to have 2 separate CIDs (which for O2 is usually a 4 digit number prefixed with the sector number). E.g. 31181 and 36181 are the same site, in the same direction but on different bands (it's like they add 5000 to the number when adding a 3G900 transmitter). 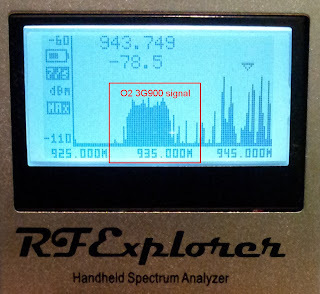 The CIDs are totally different from those of 900/1800 MHz GSM at the same site. In this area, only Barrow has the 3G900 cells, Dalton and Ulverston have O2's 2100 MHz 3G service only. Not all phones do 3G on 900 MHz (my Galaxy Note does). On O2's coverage maps, when switching between from 2100 to 900 MHz the coverage outside the town is increased slightly.